Enterprise technology experts appointed Chaos in 2014 based upon our IT and technology credentials. Chaos have successfully delivered an evolved and distinctive brand, digital and marketing comms and internal engagement for the growing client. 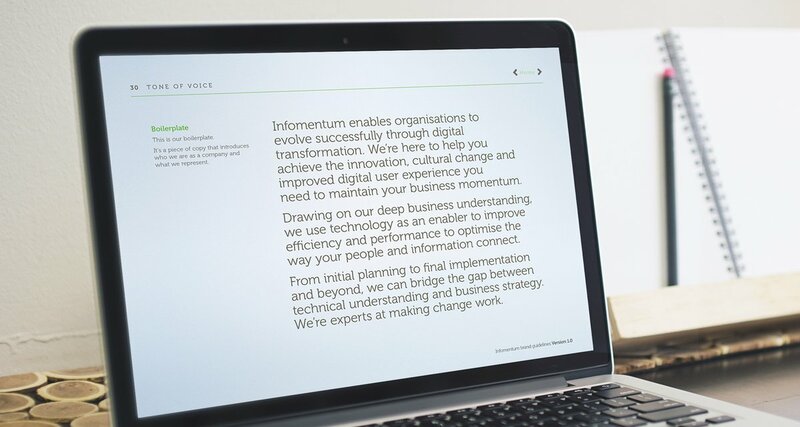 Infomentum wanted to reflect their growing status, gravitas and client success, whilst preserving their strong brand personality. 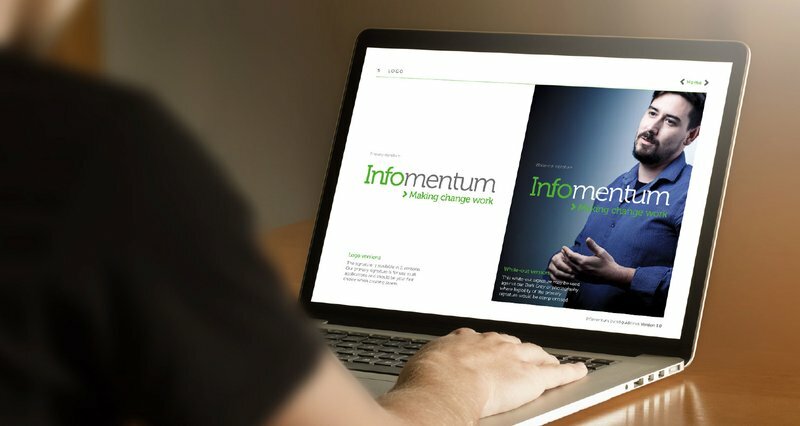 Following a brand workshop with a cross-section of Infomentum personnel, Chaos developed a fresh and more premium identity with enabling strapline ‘Making change work’. Chaos also developed their Brand DNA to be adopted by all employees and to influence all their future marketing activity. Chaos developed a fresh and more premium logo with new strapline ‘Making change work’. This was supported by a new colour pallete and ownable visual language. 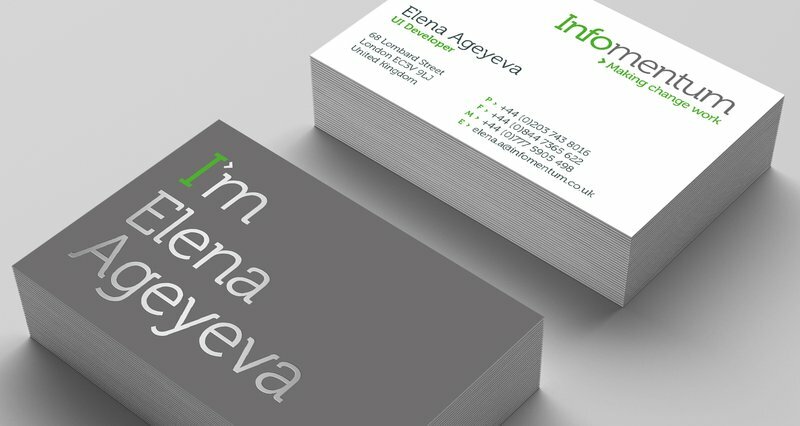 Using the ‘I’ in the logo, Chaos created a suite of unique line drawings, supported by an original photo shoot of Infomentum staff. This gave Infomentum a unique look and feel in a busy competitor landscape. The ‘I’ and ‘m’ in the logo additionally was used as part of the verbal language.